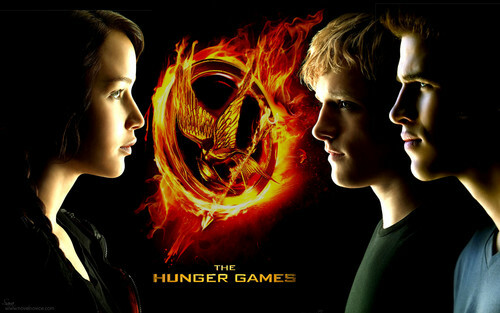 Katniss, Peeta, and Gale. The "model shots" of Katniss, Peeta, and Gale with the MockingJay symbol between them. HD Wallpaper and background images in the The Hunger Games club tagged: katniss the hunger games hunger games katniss everdeen peeta hunger games cast movie gale wallpaper hunger games wallpaper.